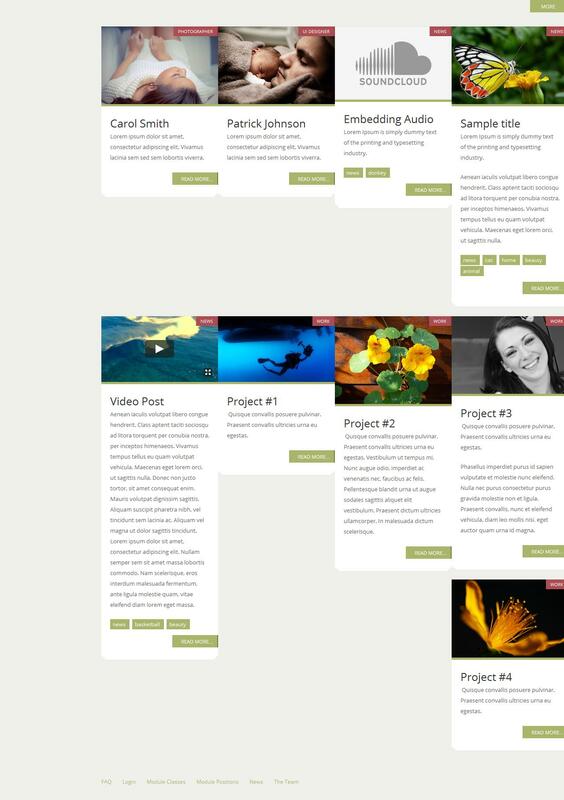 JB Moments - easy to use template developers studio JoomlaBamboo. This versatile template adapts to the device on which the user is viewing the pages and change the width of the page, depending on the screen resolution, freeing the developer from the site of a number of problems. Template appears correctly on all popular mobile and tablet devices and in all known browsers. In template built-in component K2. simplifies the management of materials and content. In conjunction with the extension Zentools is possible to create even complex sites. Using Template Manager, available from the administration panel, you can change not only the basic layout options, but also create and add new ones. Template and is optimized for creating any kind of sites.